The most popular game of the 90's! 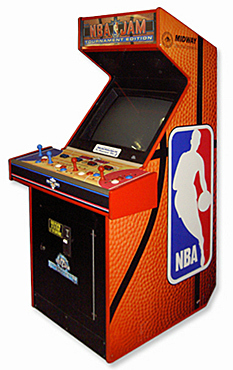 The NBA Jam Basketball Arcade game was developed and published by Midway games in 1993. NBA Jam Basketball Arcade game is an exaggerated type game. This means that jumps are higher than the players and slam-dunks defy all human capability. There are no fouls, free throws or violations with the exception of free throwing. 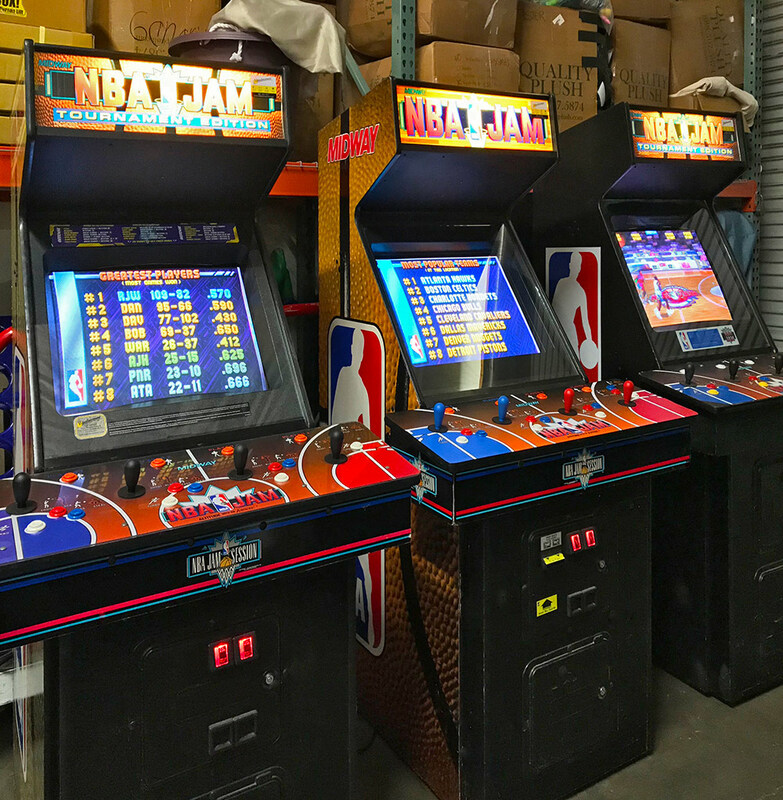 NBA Jam Basketball Arcade game is licensed by many of the NBA teams such as the Atlantic Hawks, Chicago Bulls, the Pistons and the Pacers all from the Eastern conference. From the western conference there are the Nuggets, Suns and the Blazers. 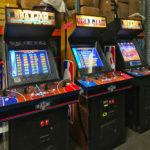 Video Amusement delivers rented NBA Jam Basketball Arcade game for rent in California, San Francisco, San Jose, Santa Clara, Santa Cruz, Palo Alto. Monterey, Salinas, Sacramento, Los Angeles, San Diego, Silicon Valley, East Bay, Central Coast and Bay Area cites as well Las Vegas Nevada and entire West Coast. Let’s have fun and party with the NBA Jam Basketball Arcade game! Did you see these games? What kind of event do you host? Let us help with recommendations for various parties or events. The finest selection of our games tailored for your special event or party rental. 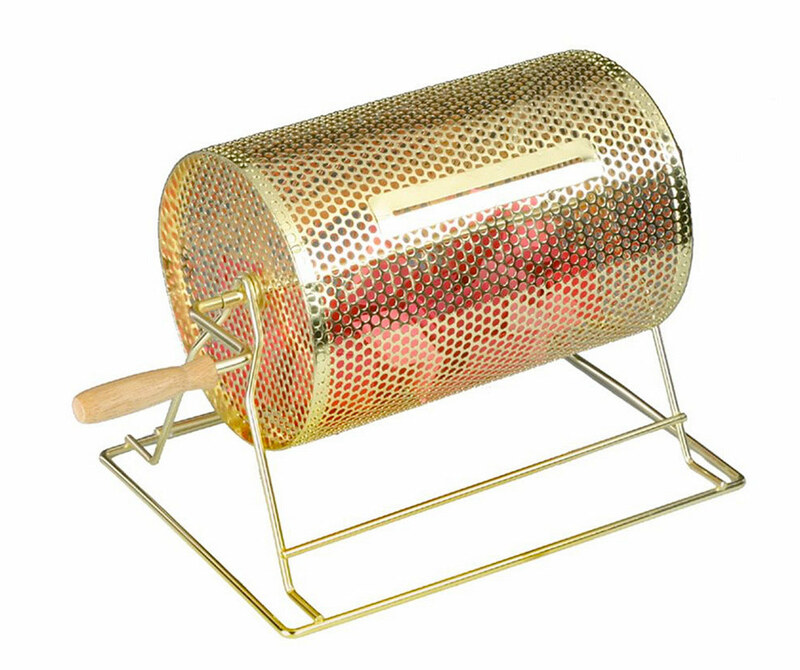 Prize Wheel – Spin and Win! 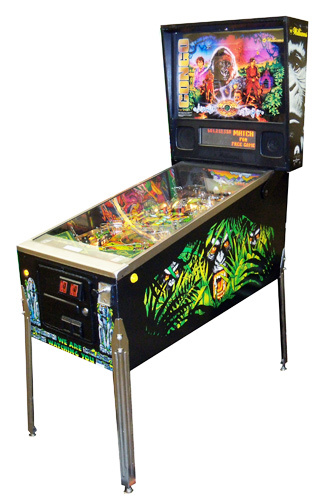 Video Amusement is the leader in special event rental, party rental and arcade games rental. Based in San Francisco Bay Area, entire whole California and Nevada.